PI Berlin analysed six projects in collaboration with the ministry of new and renewable energy and two state-run organisations. In recent years, India has been adding thousands of megawatts of solar power capacity, which has led to record-low tariffs. So much so that solar power now costs even lesser than thermal in the country. But this boom is riding on an uncomfortable truth: poor quality. The solar modules or panels that form the industry’s backbone are sub-par and the many plants mushrooming across India are flawed in their construction, besides being poorly maintained, according to a study by PI Berlin, a German technical advisory firm. PI Berlin analysed six projects in collaboration with the ministry of new and renewable energy and two state-run organisations, the National Institute of Solar Energy and the Solar Energy Corporation of India. 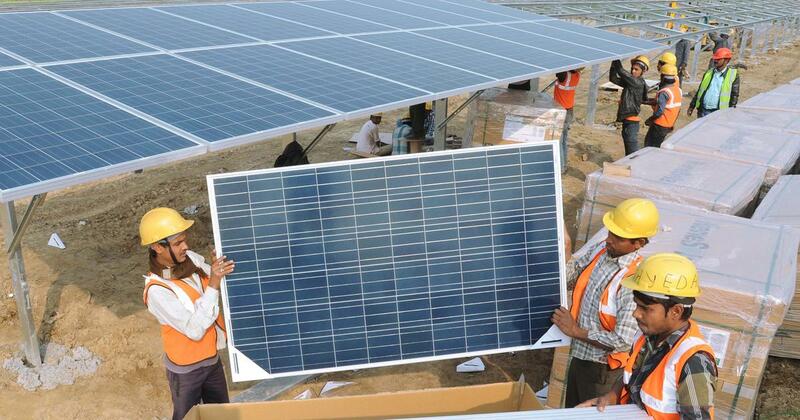 These plants were chosen based on India-specific environmental factors: various climates, modules and mounting structures, and state-wise solar capacity. “The Indian market is one of the most profitable yet risky for project developers and investors in photovoltaics (PV or silicon-based solar panels). While large-scale projects of over 100 megawatts are now common, the investment risks caused by the climate, poor installation, and lack of proper maintenance is on the rise,” PI Berlin said in a statement. The PI Berlin team found issues in nearly every aspect of the plants they surveyed. Such problems resulted in poor performance and affected the investors’ returns. “After conducting the surveys on the six sites, it could be observed that no specific certificates beyond the basic IEC [International Electrotechnical Commission, a global standards body for solar panels] certification were requested by the owners to the module manufacturers,” PI Berlin said in the report. Neither does the Solar Energy Corporation of India insist on many certifications for the companies to apply for projects, PI Berlin found. Then there are the solar farms. It was found that firms didn’t focus much on maintaining the systems post-construction. Many farms didn’t have full weather stations to monitor performance, according to PI Berlin. Strong price pressure, inexperience and lack of awareness about the sector and its risks, extreme climatic conditions, and lax requirements from the government have all resulted in the poor quality solar projects, PI Berlin said. Solar power tariffs crashed to record lows in May 2017 after the government introduced a bidding process which favoured those who made the lowest tariff offers. So firms began operating on thin margins to win projects. While this led to higher installations, it also fueled concerns over long-run viability. These issues have come to light even as the Narendra Modi government has been chasing a massive target of 100,000 MW solar power by 2022 – currently it stands at just 22,000 MW. But for the country to achieve its target and sustain the momentum in the solar power sector, PI Berlin suggests that the government must lay down strict technical standards for components, failure-free installation, and construction.